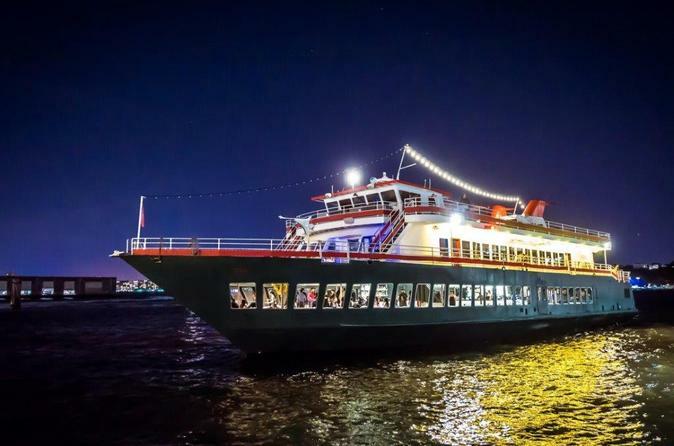 Make your way to Pier 81 on the west side of Manhattan to board your sleek, stylish boat for your New York dinner cruise on Hudson’s brought to you by the team behind World Yacht at Pier 81. Arrive at 6:00pm for your 1-hour Champagne and hors d’oeuvres Reception followed by dinner and sailing beginning at 7:00pm. The menu focuses on fresh, locally sourced ingredients in dishes, which are prepared on board and served by an attentive wait staff. You may upgrade to include an open bar. Opt for the Exclusive VIP package which includes an open bar and guaranteed window seating, only available here.